Indo German wire Screen Co. design and manufacture as per clients specific requirement, various types of Welded Wire fabric in Galvanised Wires, Mild Steel Wires & Stainless Steel Wires. We offer the widest range of sizes and specifications on latest machines with highest accuracy and quality. 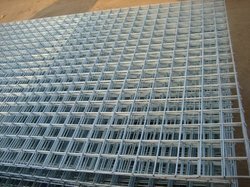 We are one of the leading manufacturer and supplier of Wire mesh screen.We obligated to meet the quality standards as per the customer demand. We are one of the leading manufacturers, supplier, exporters and stockist of Wire Mesh for Security & Detention Products in Mumbai, India. You can protect your home and business with high quality wire mesh. There is a wide range of security screen companies offering protection for your most valuable asset, make sure they are using security screen rated mesh. Hurricanes and burglary pose the biggest threat to our homes and businesses, make sure you're prepared for whatever comes your way with security screen rated mesh. 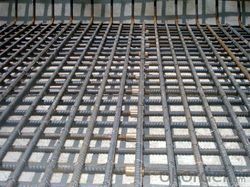 We are one of the leading manufacturers, supplier, exporters and stockist of Carbon Steel Welded Mesh in Mumbai, India. 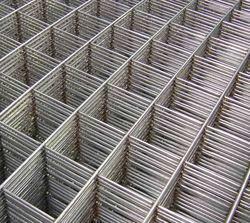 High Carbon Steel Wiremesh is highly used in industry for various applications such as separation, filtration, grading, sizing, crushing and shifting. It is applicable for a variety of materials, ranging from minerals, stones, construction materials, ceramic and food items. Due to its rigid design and excellent protection against abrasions, it is highly suitable for processing heavy abrasive materials like ores, crushed stones, sand and gravel coal. We are manufacturing and exporting High Carbon Steel Wiremesh to various countries across the globe & we have already commissioned our High Carbon Steel Wiremesh to various countries including Dubai, Egypt, Ethiopia, USA, Myanmar, Syria, Philippines, Kenya, Nepal, Bangladesh, Sri Lanka, Oman, Qatar, Uganda, Kenya, Tanzania, Singapore, UAE, Romania, Saudi Arabia, Russia, DR Congo, Nigeria, Malaysia, Indonesia, Turkmenistan, Pakistan, South Africa, Vietnam, Abu Dhabi, Sharjah, Kuwait, Zambia, Iran, Angola, Afganistan, Algeria & Irag etc. We are one of the leading manufacturers, supplier, exporters and stockist of Stainless Steel Welded Mesh in Mumbai, India. Welded wire mesh stainless steel 304 grade is also called inox or 18/8 because of its composition of 18% chromium & 8% nickel. It provides a high corrosion resistance as well as the strength and hygiene properties stainless steel offers. It used extensively in pharmaceutical industries, food and catering industries as well as in health care, construction and automotive industries. Typical applications include: vent guards, de-greasing baskets, cooling trays & bakery baskets as well as gabions etc. 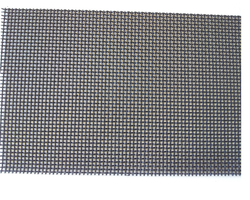 Our extensive range of Stainless 304 welded wire mesh is available with a heavy or light wire. 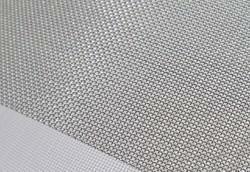 We are one of the leading manufacturer and supplier of Stainless steel wire mesh. We obligated to meet the quality standards as per the industry norms. We are one of the leading manufacturers, supplier, exporters and stockist of Welded Wire Mesh in Mumbai, India. Indo German wire Screen Co. design and manufacture as per clients specific requirement, various types of Welded Wiremesh in Galvanised Wires, Mild Steel Wires & Stainless Steel Wires. We offer widest range of sizes and specifications on latest machines with highest accuracy and quality. We are one of the leading manufacturer and supplier of welded wire reinforcement.We obligated to meet the quality standards as per the customer demand.